High quality enclosure. 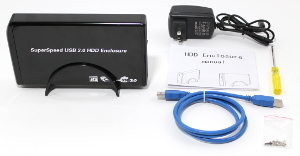 Quickly and easily convert your standard 3.5" SATA hard drive into an external hard drive. Power switch to easily turn drive off and on. 1 Year Warranty, 30-day money back guarantee.